The main drawer for the drinks cabinet is now completed and ready for gluing up. The wild grain on the drawer front was a little too much even for the Veritas jack plane so out came the trusty cabinet scraper. 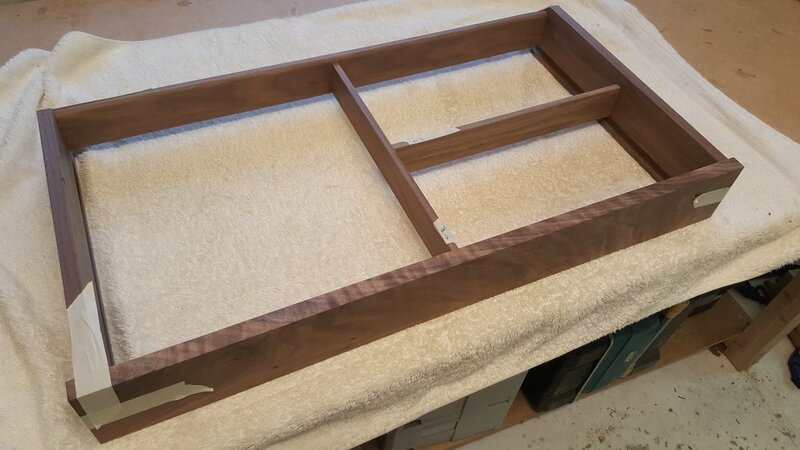 The partition and sub partition are also completed and jointed to the drawer carcass.